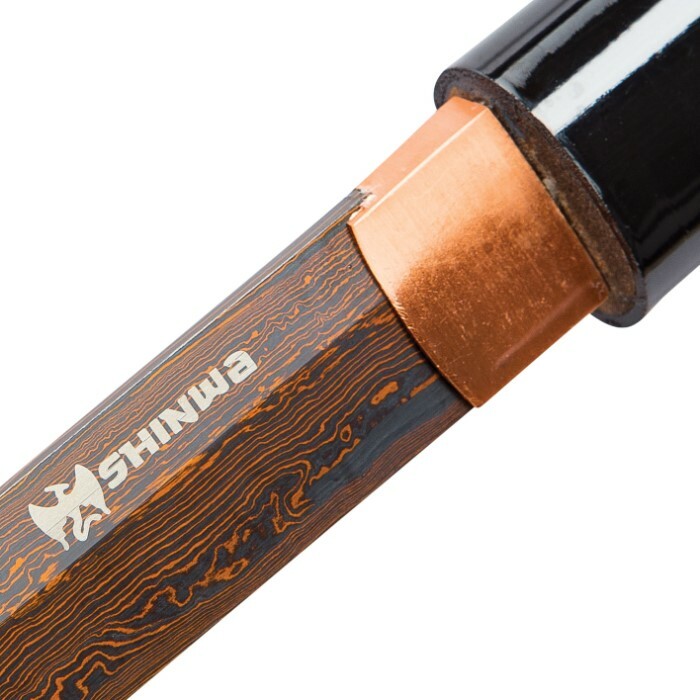 Shinwa SilkFang Handmade Shirasaya / Samurai Sword - Double-Edged Blade; Exclusive, Hand Forged Black Damascus Steel; Hand Lacquered Hardwood - Sleek Ninja Stealth, Functional, Battle Ready, Full Tang | BUDK.com - Knives & Swords At The Lowest Prices! Shinwa’s sleek, eye-catching “SilkFang” Shirasaya Sword undeniably stands apart from the rest and is a must-have for any serious sword collector. Amongst even the finest, most ornate katana, wakizashi and other common Japanese sword styles, this alluringly clean, no-frills sword is an immediate standout, sure to draw attention and spark lively conversation. The traditional shirasaya configuration’s satiny smooth lines, unique staff-like shape and hand-lacquered hardwood construction all make for a beautiful example of Japanese swordcraft’s diverse design variety and vast aesthetic range. Though its roots stretch back centuries, for most, the shirasaya represents a fresh, intriguing departure from the katana-like image ingrained in the popular imagination: ray skin and cord-wrapped tsuka, ornate guard, sageo accented saya and the like. But, interesting and alluring as the fluid, polished exterior may be, don’t forget - this sword is equal parts “silk” and “fang.” As such, the “silky” smooth saya conceals a potent pair of “fangs” - two carefully honed edges on a menacing black Damascus steel blade. The SilkFang’s distinctive black Damascus steel blade is a tumultuous sea of contrasting lines, waves, swirls and other mesmerizing patterns, all cloaked in a shadowy dark hue. Each line is a distinct variety of steel, hammer welded and hand folded repeatedly to yield the thousands of layers in each SilkFang blade. The unique metalsmithing technique’s roots stretch back to the Middle Ages, and today it’s still painstakingly performed by seasoned hands - no automation, no mechanization. To make each SilkFang blade, a Shinwa master swordsmith fires a stack of steel blanks - each piece a different alloy - in a white-hot forge until the metal glows red hot. He then removes the stack and hammers it until it’s around half as thick as the original. Then he folds the metal onto itself lengthwise and hammers each half together. The process is meticulously repeated - hundreds of times in some cases - until the desired layering effect is achieved, at which point a final quenching strengthens the resulting blade, while an acid treatment highlights vivid contrasts in the layers. And the slow, laborious process itself it just the beginning! In order to achieve sufficiently dramatic contrasts, Shinwa’s master smiths must expertly select an appropriate combination of steel alloys of varying color, luminescence and other visual qualities. For the sake of strength, resilience and countless additional blade factors, the smiths must also must consider each alloy’s distinct melting point, proper stacking order, forge temperature and myriad other variables. 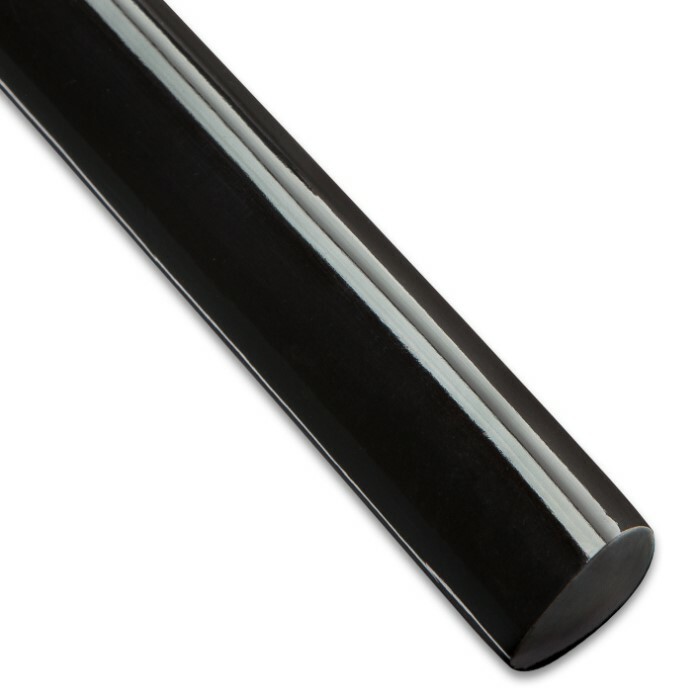 Simply put, an unbelievable quantity of blood, sweat and tears goes into every SilkFang blade. 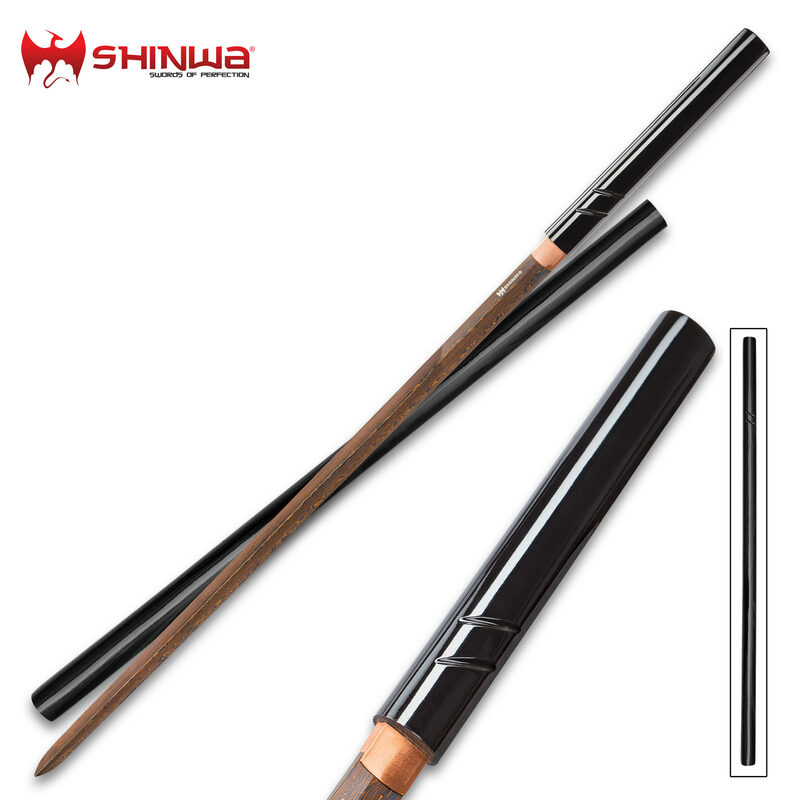 As if that weren’t enough, Shinwa adds its own innovative modern twist to the SilkFang blade - an exclusive, closely guarded secret process that imparts its brooding dark hue; putting the “black” in black Damascus, so to speak. Rich amber lines swirl over a deep black void like trails of blood flowing down a blackwater river. It's Damascus steel...after dark. And of all the world’s swords, Shinwa’s SilkFang is one of a relative few to feature it. Furthermore, like a steel snowflake or fingerprint, the patterning on no two SilkFang blades is exactly alike. I got the sword very quickly due to trueswords quick shipping so that was great. only problem I had was that when I got the sword, the tip was bent and there were nicks or cuts in the blade. So in other words it came damaged. The sword is alright for cutting and is great for stabbing. It is EXTREMELY light. I underestimated exactly how light it was when I bought it. Overall its a decent sword, but for the price you can probably get something that will last longer. This is a great sword for display for the occasional backyard cutter, but in the long run it wont last. I'm honestly going to return mine due to the damage and find something else. Its a good sword, just not for $70. Got the sword came with a nice edge on it. I had left a comment on it but I'm not seeing it. The sword is printed I learned this when I accidentally scratched the blade rather than seeing the Damascus pattern I saw plain steel. Other than that it's a keeper. beautiful blade color ration, light weight and sharp. small knick at tip on one side, should be able to stone it out. This is probably the best sword I've ordered off of crosswords. Even though it wasn't completely double edged, I loved the look of look of th damascus steel. 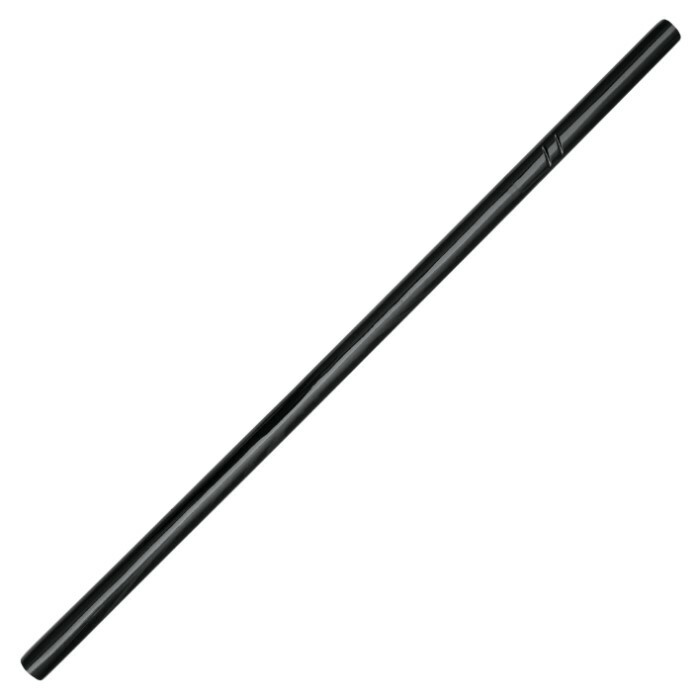 This sword is what I have come to expect from Shinwa Swords. Very well made as well as beautiful. Mr. greywolfe is of course wrong about the patterns in the blade this is what Damascus steel looks like. And for Mr. Riddle the description is not a double edge but a double edge tip, or what we call an edge and a quarter. With all that said no matter which Shinwa sword you buy your getting a good sturdy fully functional sword that is indeed full tang. You can not always use reviews to know the truth about any sword or knife, just use common sense. Thank You. Daniel of Nebraska. Calling this a double edged sword is a bit of a stretch as it only has about 5 inches of sharpened blade on the back. I don't know if this is the style or not but I was not happy as I expected both sides to be sharpened from tip to habaki. Given that the second side is really too thick up the blade to try and easily sharpen it, I think that is the best it will get. Knowing that, I probably wouldn't have bought it but now that I did, at a discount, I'll probably keep it. But I probably won't buy another 'double edged' Nodachi style unless I can confirm it is sharp the length of both sides. Ignoring the second side, the first is sharp and the sword is balanced well enough. It can be used as a katana might be used but not like a fully double edged blade.